Posted on March 26, 2019 at 10:41 am. Osaka Prefecture will host Japan’s first legal casino. That is the belief of Jim Murren, chief executive of MGM Resorts International. “We’ve made a decision to focus all of our energy on Osaka,” he told reporters last week. “We believe Osaka is going to be the first integrated resort location. The Las Vegas-based gaming giant has doubled down by announcing a partnership with Orix that will focus exclusively on Japan’s Kansai region. “MGM Resorts confirms that we are working with Orix to create Japan’s first integrated resort in Osaka,” said Ed Bowers, chief executive of MGM Resorts Japan. 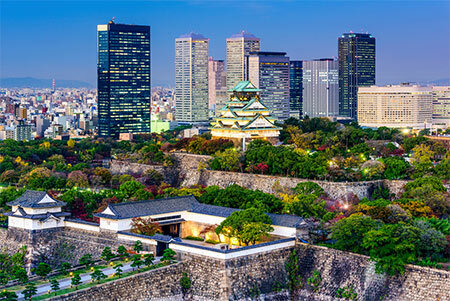 The Japanese government legalised casino gambling in 2018 and will approve three new gaming venues from 2020 onwards. Several regions are under consideration as potential resort locations, including Hokkaido and Nagasaki.